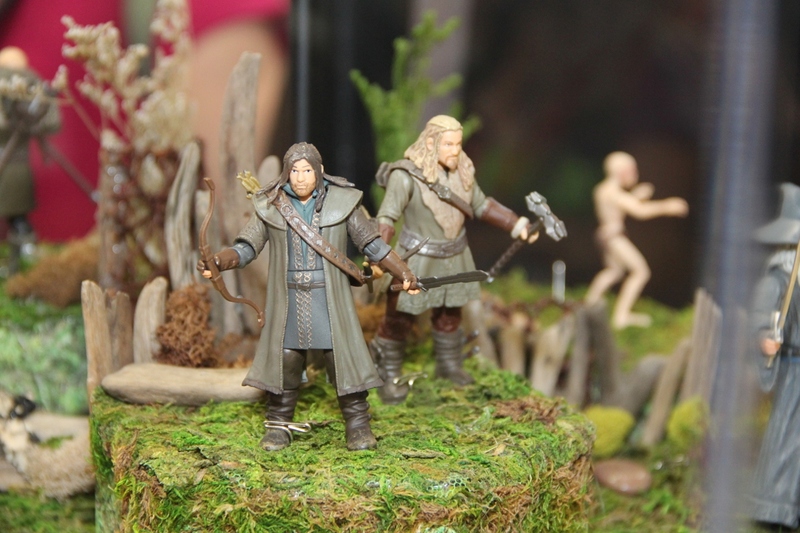 There hasn’t exactly been a lot of previews of the Hobbit action figures from The Bridge Direct, so I was happy to find that Bridge had their own corner of the Hobbit booth nearby some of the other Hobbit collectibles. 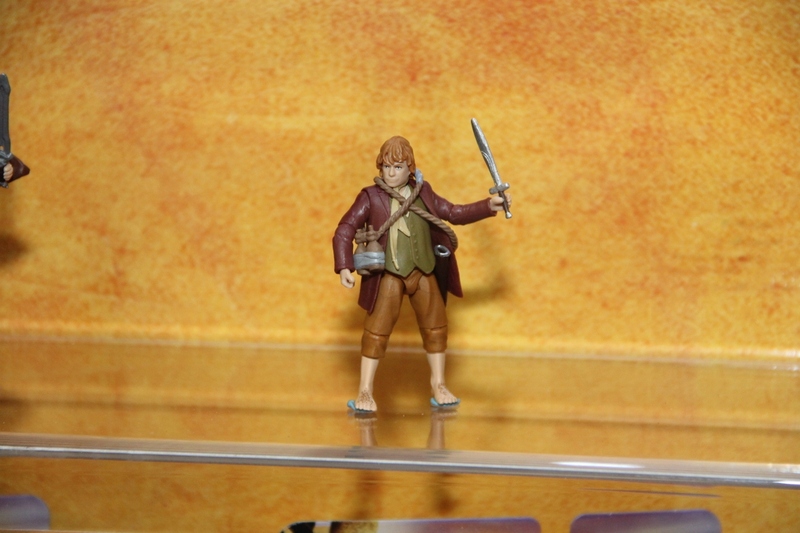 VeeBee and Sandman are big fans of the Lord of the Rings toys from Toy Biz, so they were really excited to get to see some of the new stuff first hand. 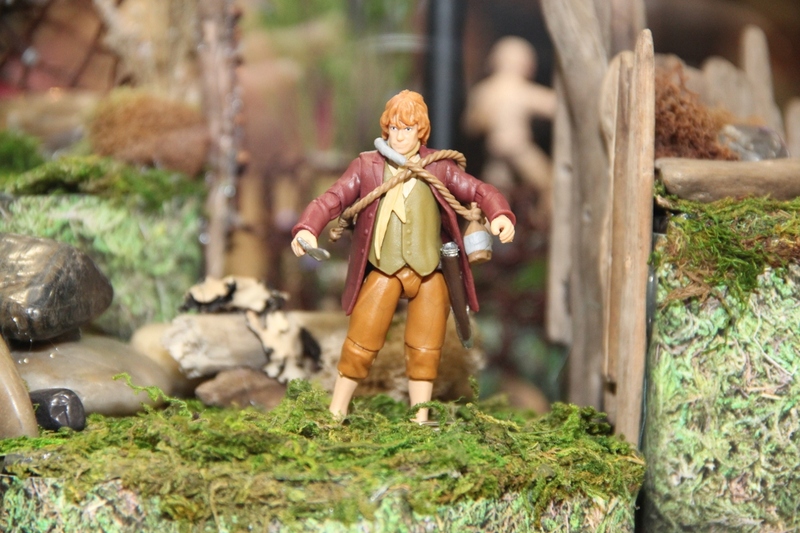 You can see VeeBee’s Hobbit pics at the Fwoosh. 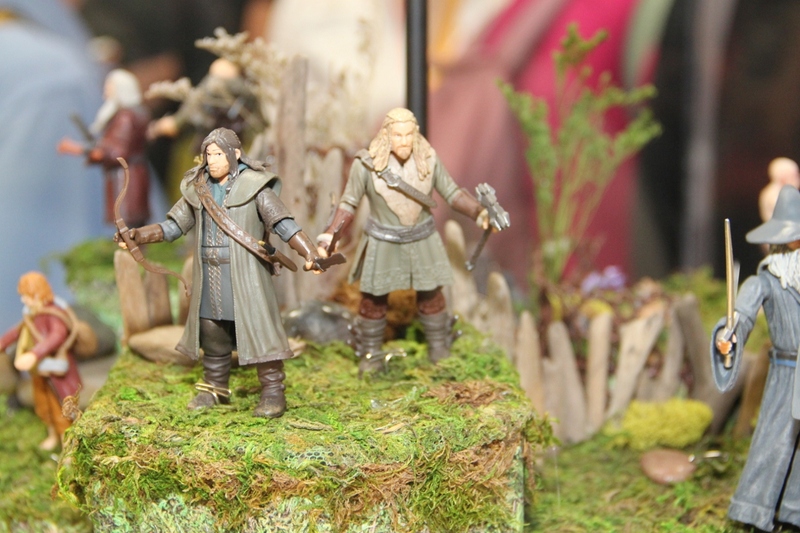 Bridge mostly had the 3.75-inch figures on display, as that will be the bread and butter. 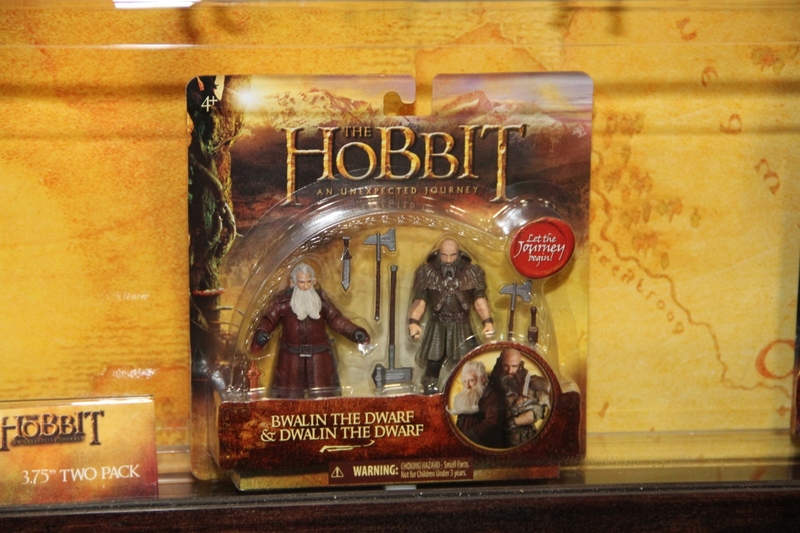 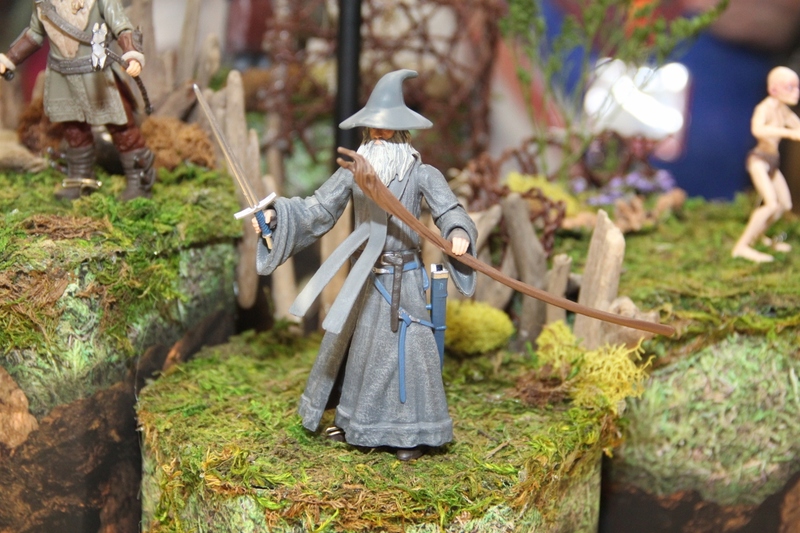 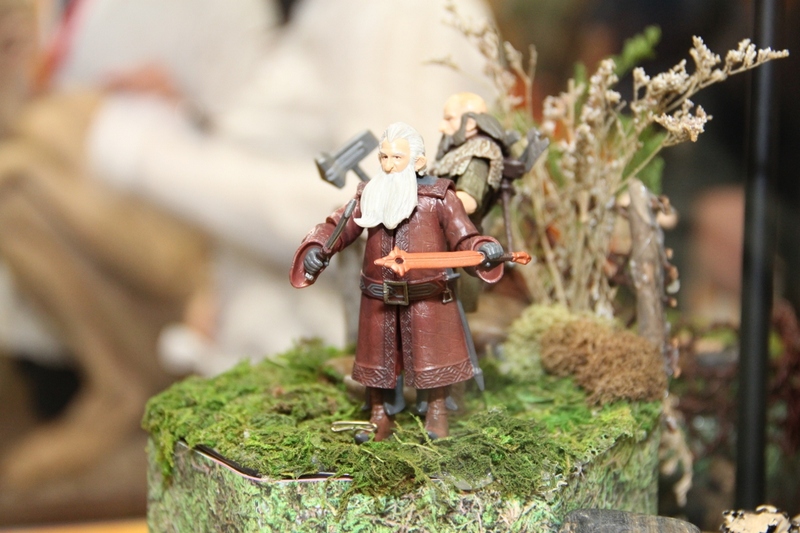 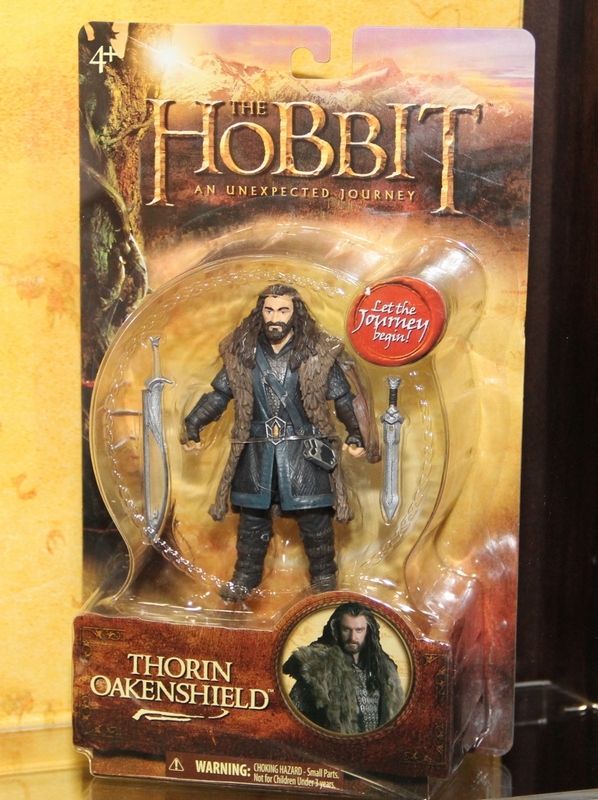 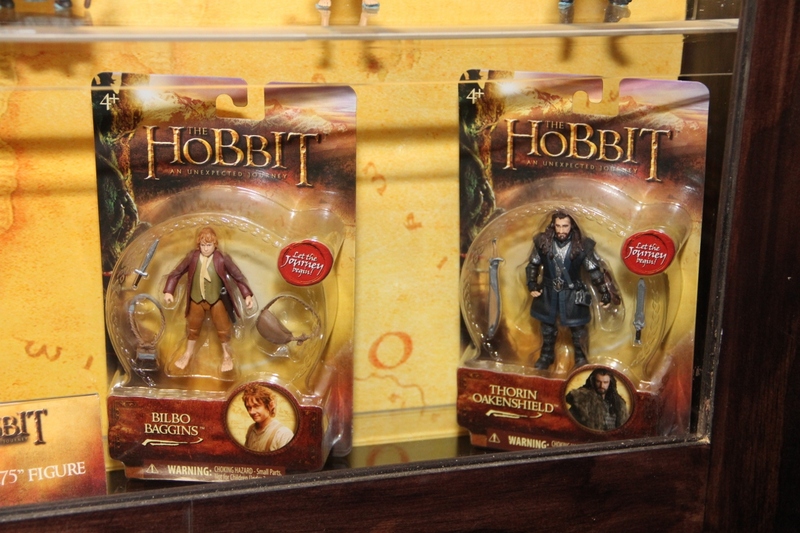 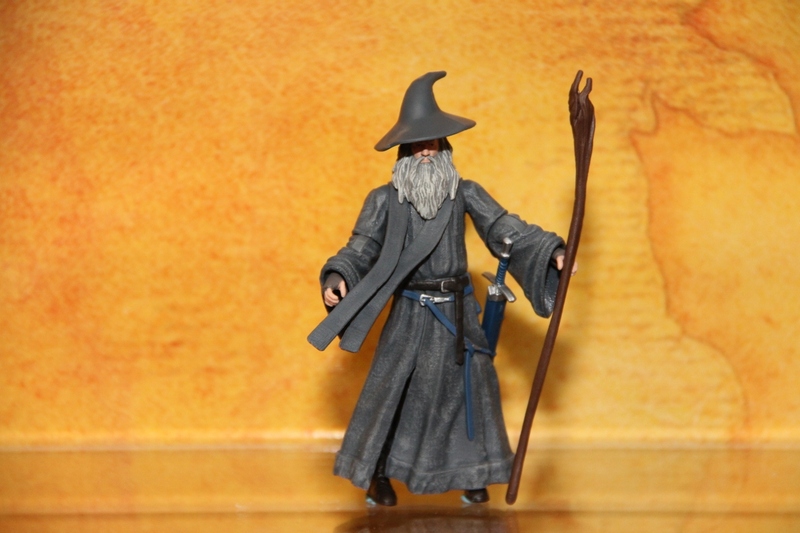 But they also had the three 6-inch figures they previewed shortly before SDCC – Bilbo, Thorin Oakenshield, and Gandalf. 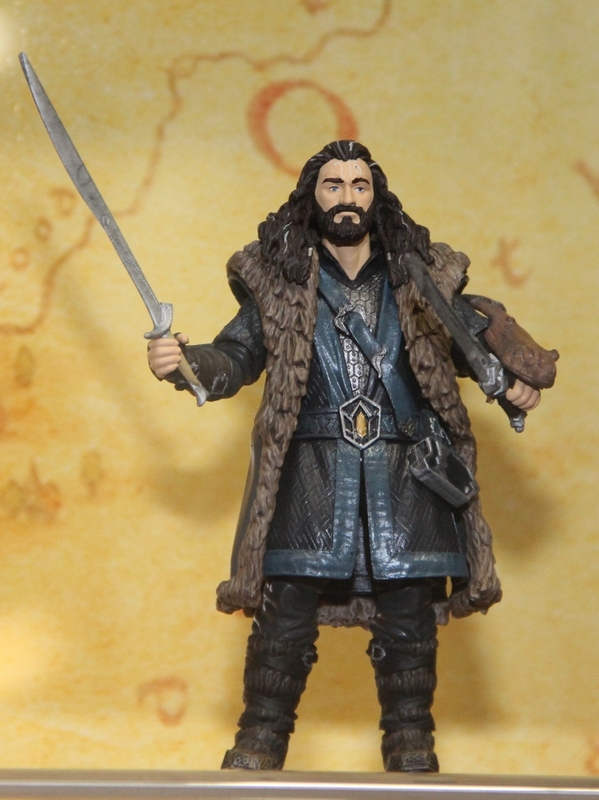 The six-inch figures will be a good match stylistically with the older Toy Biz LOTR figures. 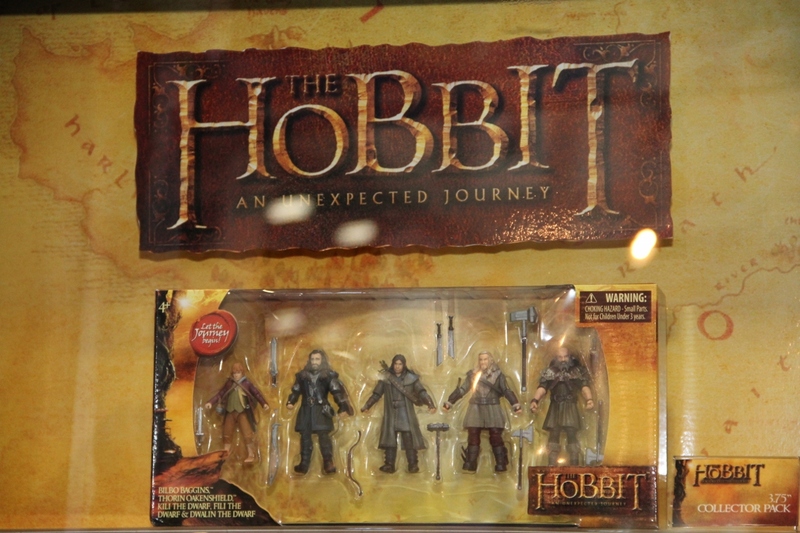 The pending question is if they will be in scale. 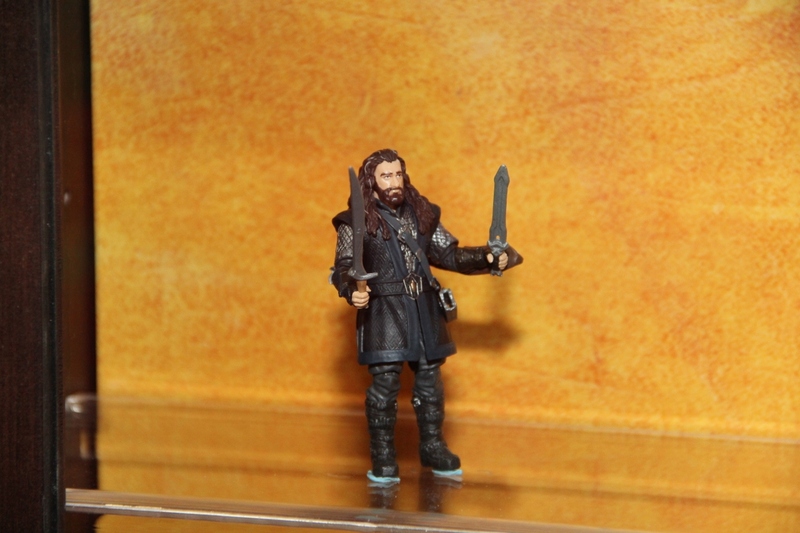 It was hard to make a judgment on it, as they were on display on a higher shelf and no one thought to bring a comparison figure. 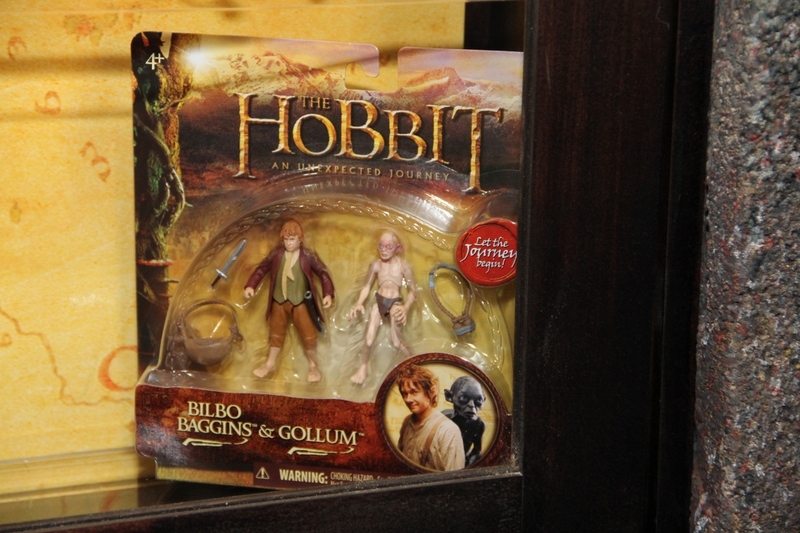 My gut tells me they are slightly smaller, but it’s been wrong plenty of times before. 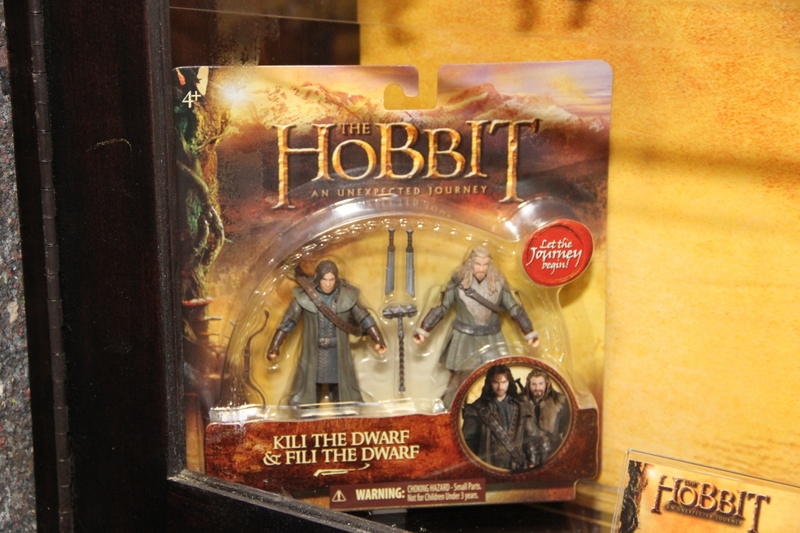 At the very least, it will be less of a factor when it comes to the Hobbits and Dwarves. 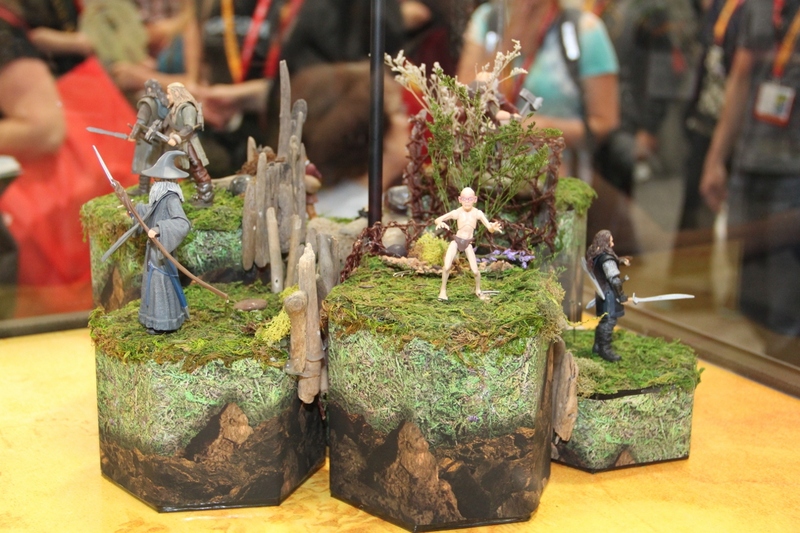 Another person in the booth asked if we’d ever see big items like the cave trolls in this line. 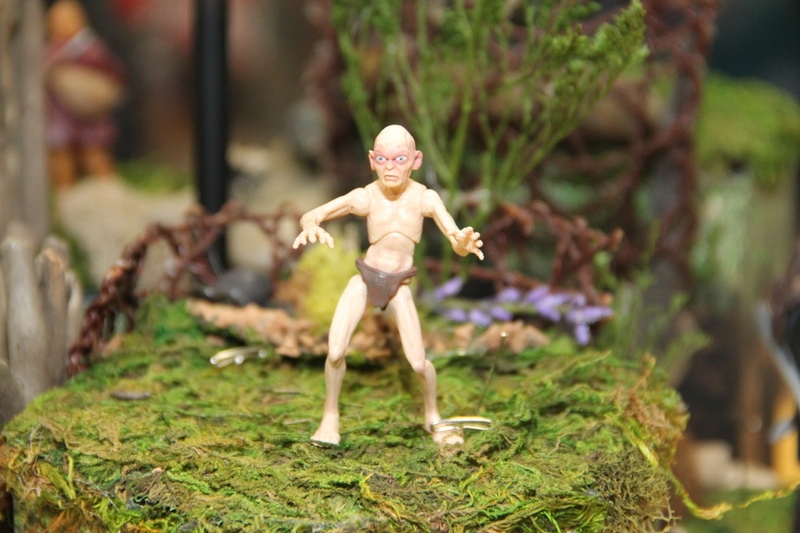 A Bridge person said that they are considering it with future waves, but then the size they indicated with hand gestures suggested that this was more of a possibility for 3.75-inch scale than 6 – and that’s not surprising, given that vehicles and larger items tend to work better in that scale, as much as it may bum out the older Toy Biz fans that are hoping for Bilbo’s 3 trolls in the 6-inch scale. 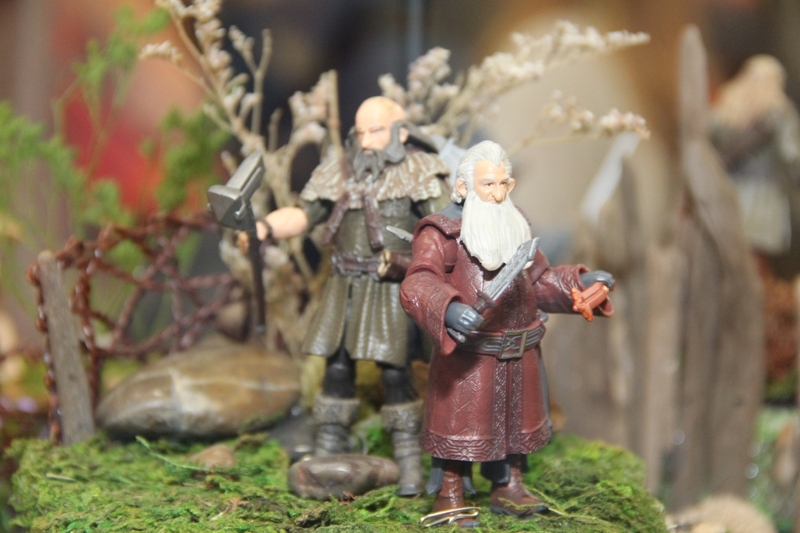 Will we see all the dwarves in 6-inch scale? 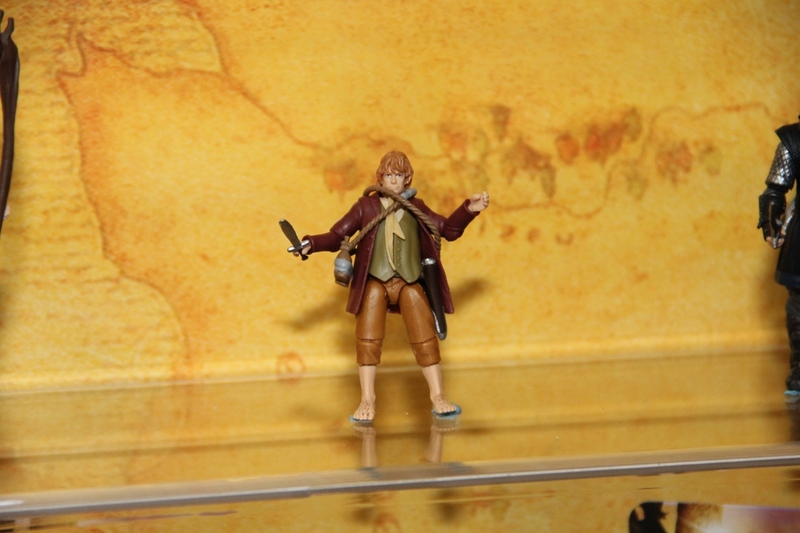 VeeBee said he got no definitive answer, but my interpretation was that there was a wink wink nudge nudge for us in there somewhere. 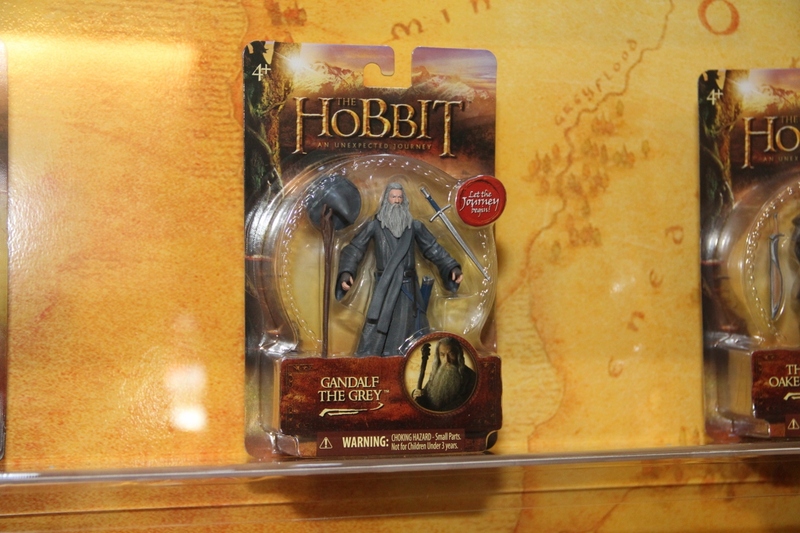 We’re going to see a ton of 3.75-inch product on shelves. 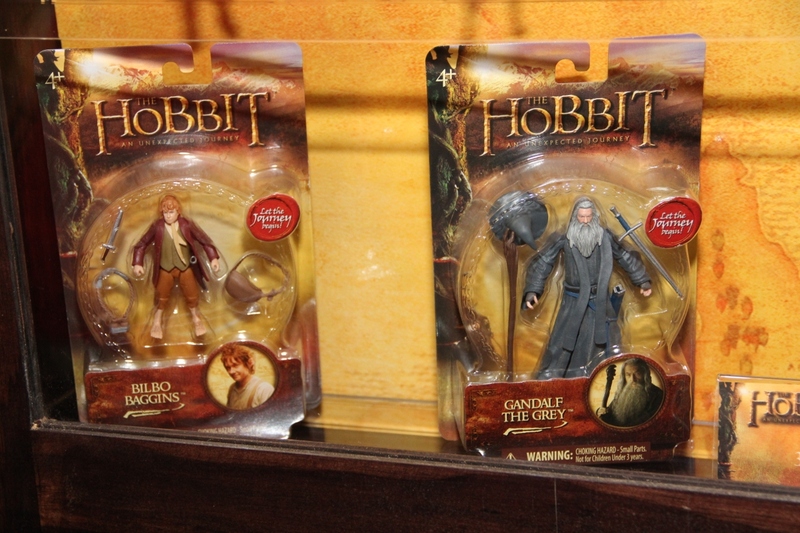 Singles, 2-packs, multi-packs, you name it. 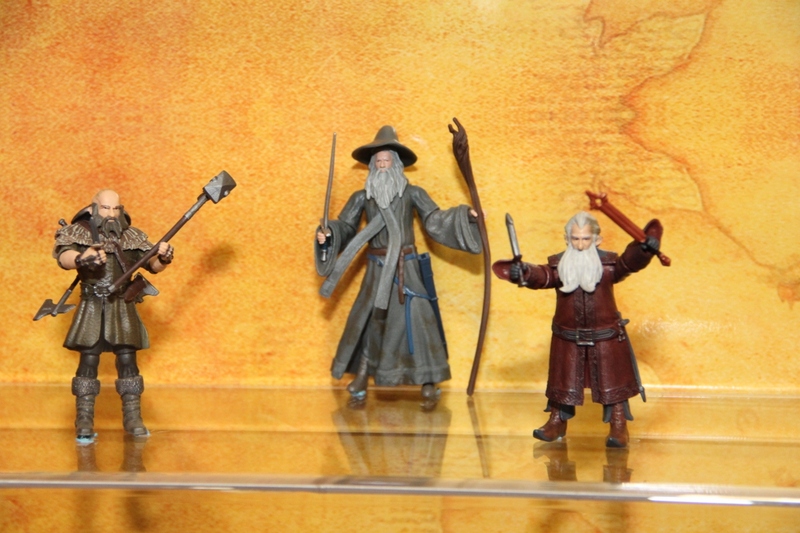 I think these look decent – they’re definitely on par with other lines in this scale, and I hope that these get good sell-through so we might see playsets and beasts to help realize the grand scale of the movie. 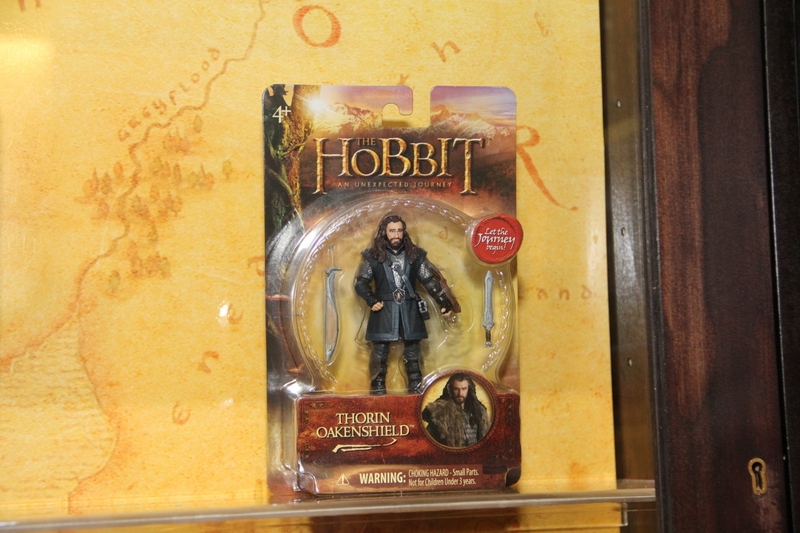 Bonus: here’s my Instagram shots that I took earlier today but couldn’t get posted. 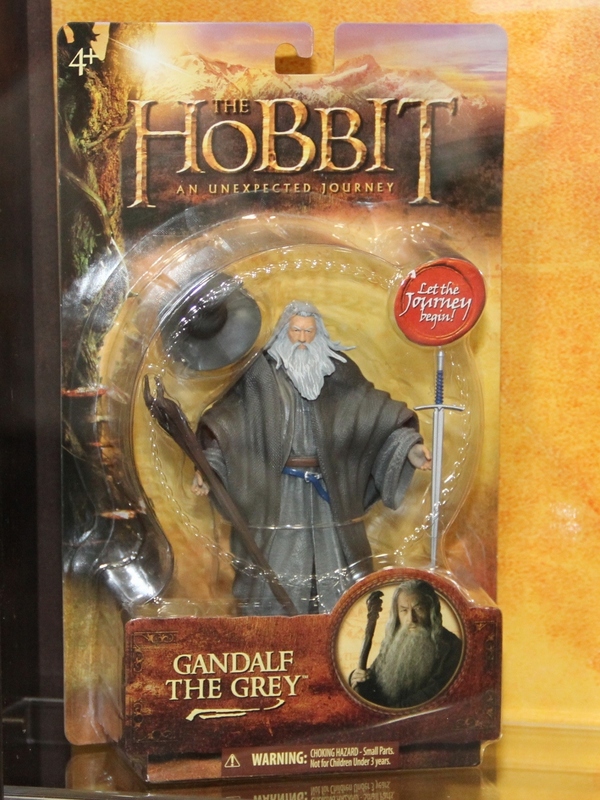 To be fair, the Toy Biz Fell Beast, Treebeard, Shelob, cancelled Balrog and such weren’t really in scale with the 6″ figures either. 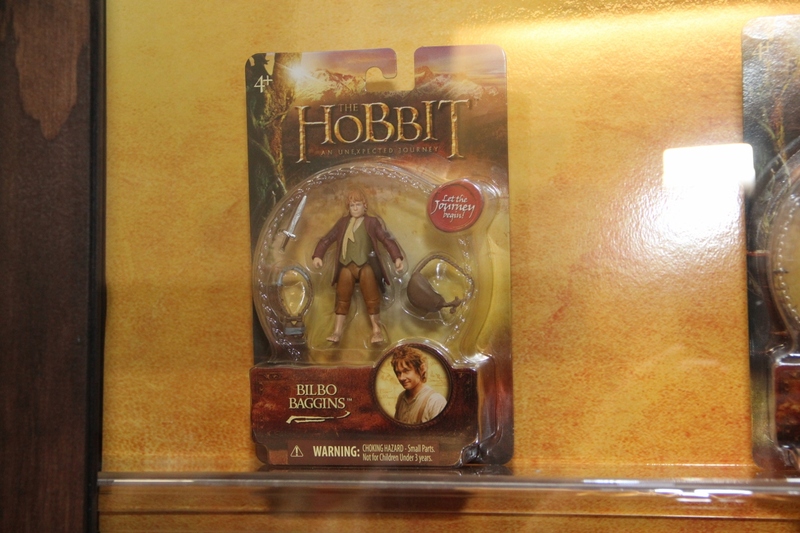 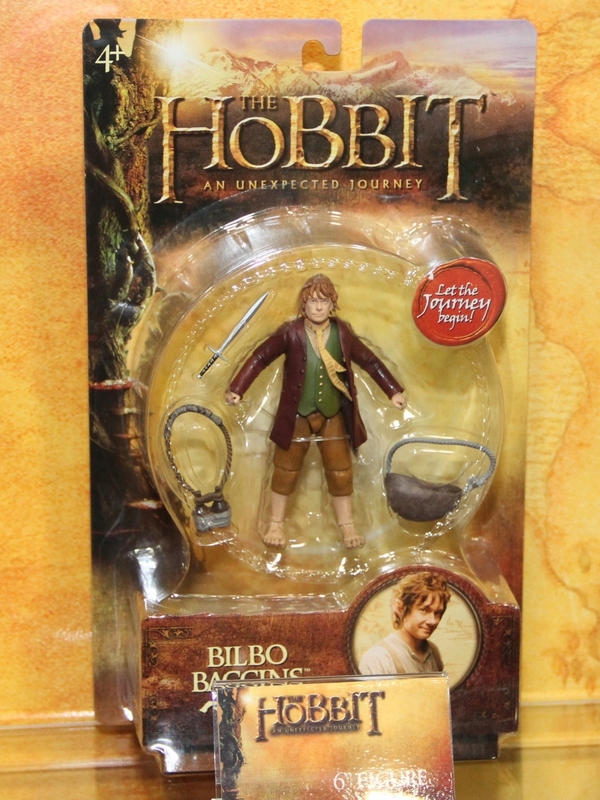 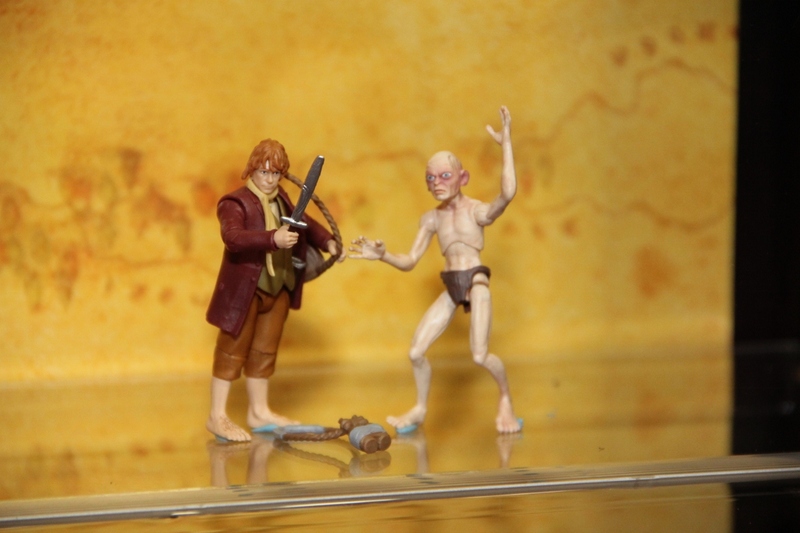 Has anybody picked up the SDCC exclusive Bilbo and put him side by side with Frodo or one of the LOTR Hobbits? I so hope they keep the 6″ line going for as long as possible. 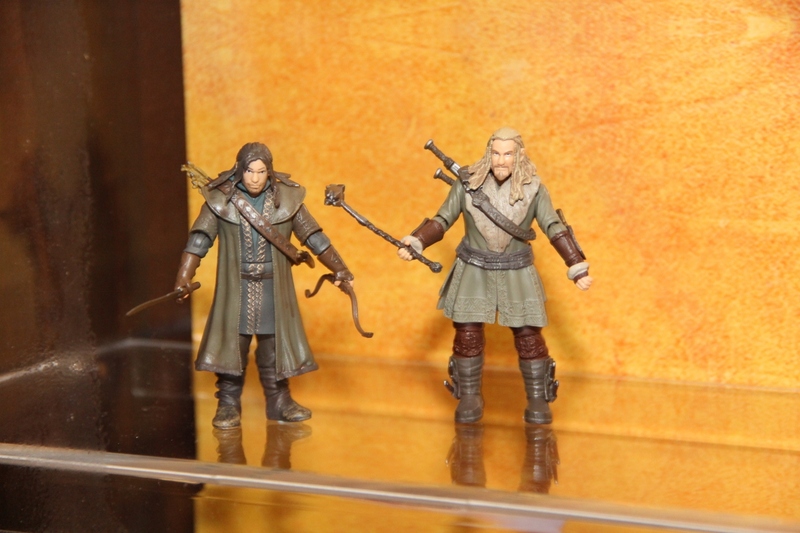 At least all the main guys. 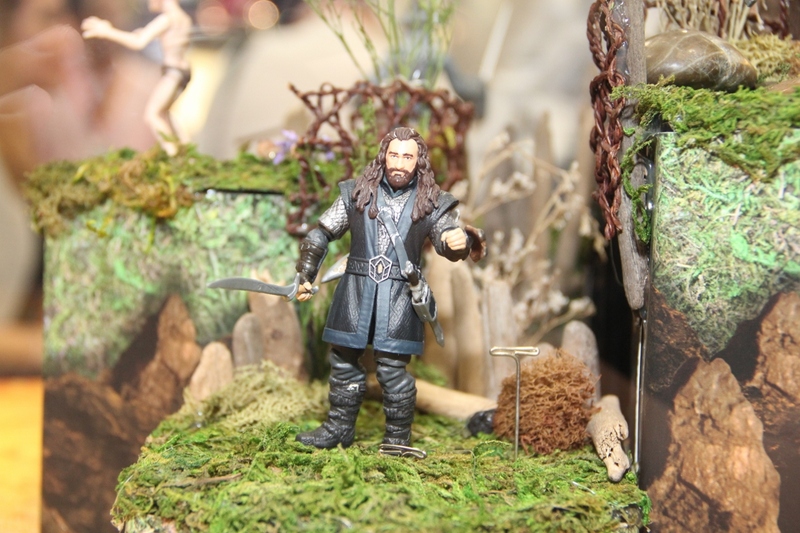 @Kevin: I thought Treebeard was just right. 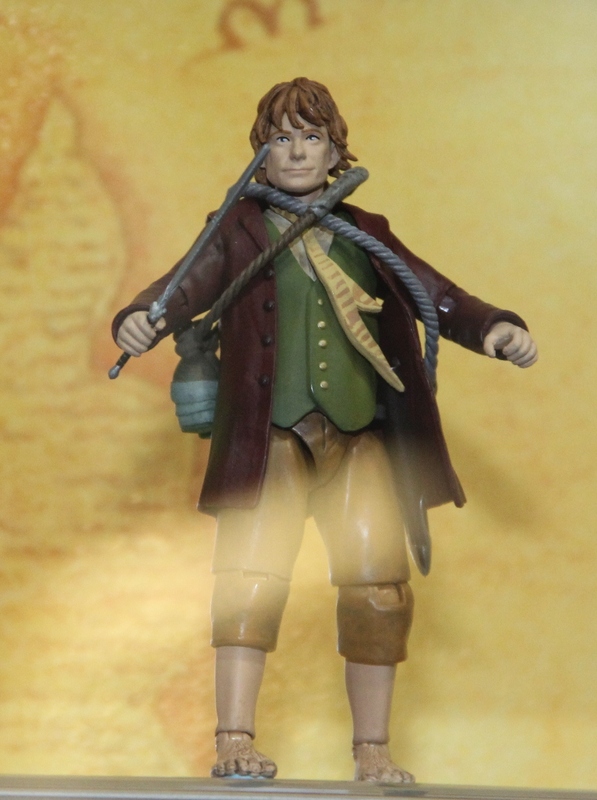 Merry and Pippin fit in his hand or upper branches rather nicely. 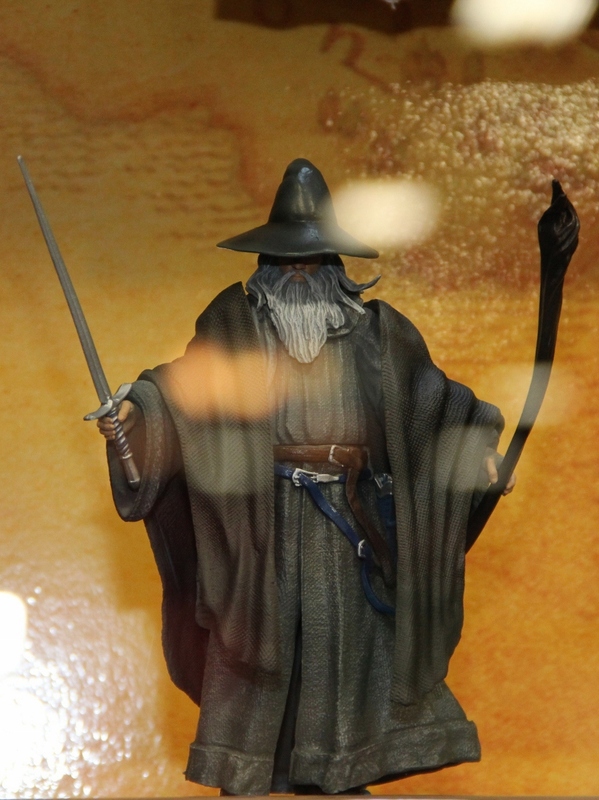 How do you know what scale the Balrog would have been? 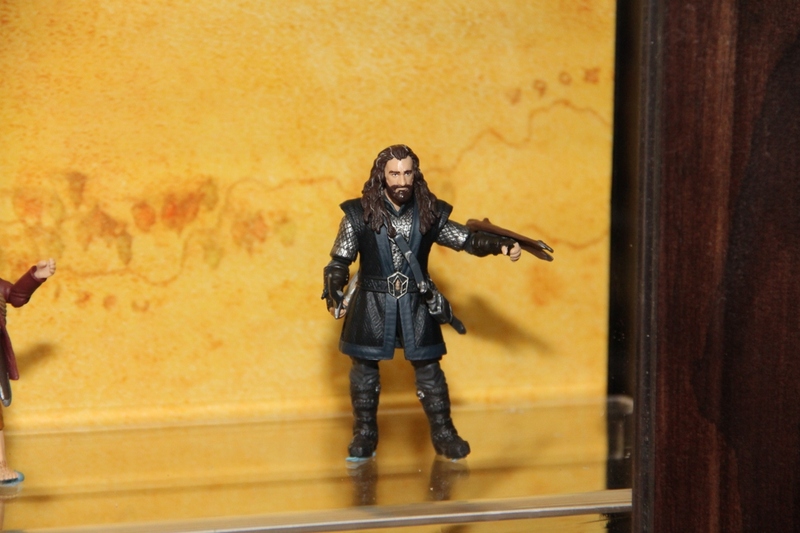 As far as I know there were nerver any photos released, prototype or otherwise.